Emmy Award-winning newscaster Calvin Hughes co-anchors Local 10’s 5:00, 5:30, 6:00 and 11:00 evening news broadcasts. Hughes has worked as an anchor/reporter in three of the nation’s top ten media markets including Philadelphia, Atlanta, and Dallas. He has also carried his pen and reporter’s notepad to Lexington, Ky., Evansville, Indiana, and Columbia, Mo., where he launched his career on the radio. 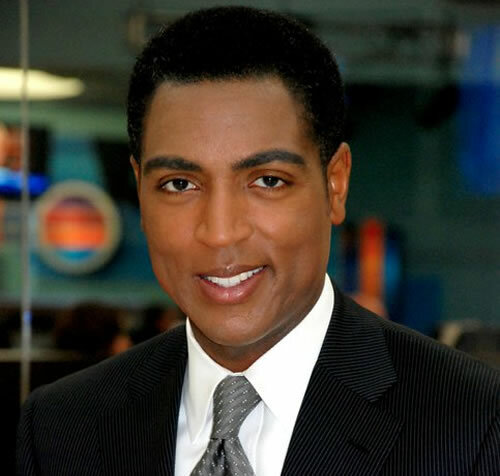 Hughes and his family moved to Miami in 2006, when he joined Local 10 as the morning news anchor. Hughes did not hesitate to delve into the richly diverse communities of South Florida. In March, Calvin joined five other members of the Local 10 News team in Cuba to cover Pope Benedict XVI’s historic trip. They were the only South Florida news team permitted to visit and report from the island nation. The half-hour news special produced from this trip has been nominated for a Southern Regional Emmy Award. Active in the community, Hughes serves as vice-chair of the Pembroke Pines Board of the YMCA. After being invited to speak to homeless families at the Miami Rescue Mission, Hughes and his wife began a new holiday tradition, hosting an annual children’s holiday party at the Miami Rescue Mission and Broward Outreach Center where their own children could share their blessings and be blessed by the resilient children who reside at those shelters. For each of the last two years, he’s volunteered to serve food at the “Mary Kendrick Thanksgiving Feed The Needy Feast” in West Park. Indeed, you can find Hughes volunteering his time and talents as a keynote speaker or emcee nearly every week at various schools, churches, civic events or charitable fundraisers. He’s also a proud member of Kappa Alpha Psi Fraternity, Incorporated. In 2011, Calvin and his wife Bacardi L. Jackson, Esq. were two of six inaugural recipients of the Thurgood Marshall Distinguished Young Leader Award. They reside in Miramar with their two sons, Solomon and Roman, and their precious daughter, Sakala Danielle.